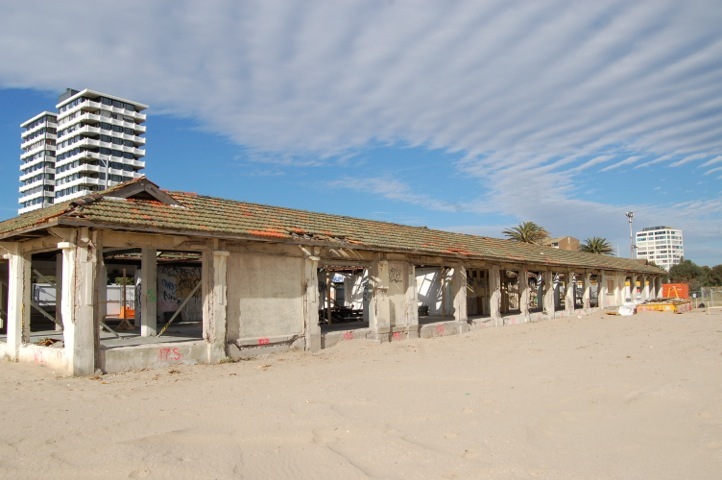 Built as one of three ‘open sea bathing houses’ during St Kilda’s lively restoration of the late 1920s, the stunning art-deco style Bathers Pavilion was home to the classic beach experience. 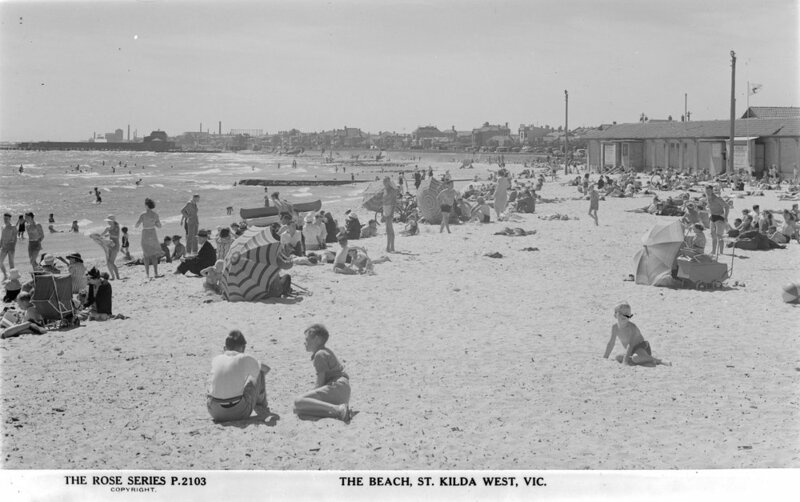 However, in the 1960s as St Kilda became known for its bohemian style, attracting artists and musicians from the city, the historic pavilion was decommissioned and left in disrepair as a candidate for demolition. 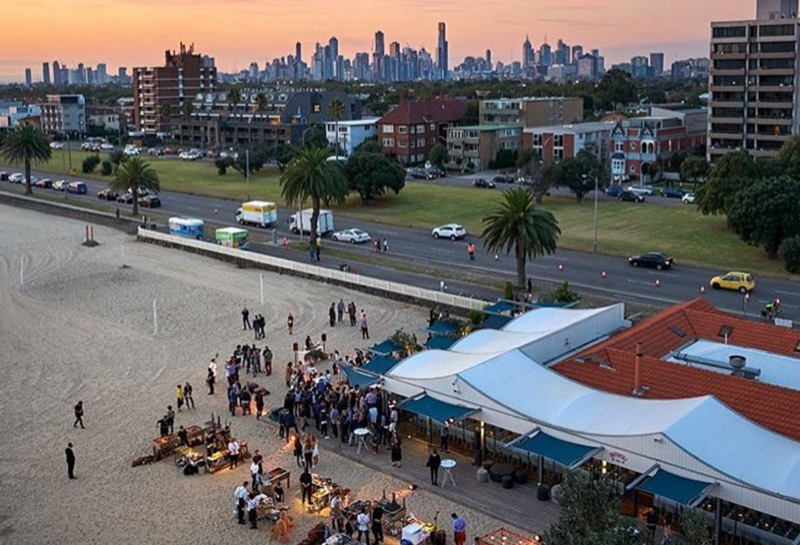 Thanks to the blooming arrival of kite boarding, a new surge of visitors to St Kilda’s west beach attracted the sights of young investors to breathe new life into the most neglected of venues. After a well-constructed two year redevelopment, West Beach Bathers Pavilion emerged from the ruins, keeping the historical structure intact and fitting floor-to-ceiling windows and an expansive wrap-around deck bowing to the impeccable beach front view. Today West Beach Bathers Pavilion has developed into a handsome establishment catering to the modern beach-goer. The cafe serves award-winning coffee and a full spectrum of delicious meals and beverages sourced from Victoria. In addition to the beautiful laid back café, West Beach is an impressive event space with a capacity of over 500 that offers an unparalleled panoramic vista for weddings, buffets, birthdays, corporate events, cocktail parties and more. Over the last nine years West Beach Bathers Pavilion has seamlessly coordinated hundreds of successful and memorable events, most recently hosting the Chef’s Feast for this years’ 50 Best Restaurants Awards. Regardless of how grand or intimate an event, the West Beach team will work to recreate your vision. There hasn’t been a better time to kick off your shoes and feel the sand beneath your feet, so next time you find yourself searching for the perfect venue: think West Beach Bathers Pavilion.